Principals have a unique power to multiply the effects of good teaching. As we go back to school this fall, parents will naturally be fretting about teachers—mainly, did their kids get the best ones? But what if, in the interest of educational improvement, we paused to examine the role of one person who rarely gets talked about, but who just might be the most important figure in school reform: the principal? But that’s not necessarily true, according to the work of three economists, Raj Chetty, John Friedman, and Jonah Rockoff. Their research was entered as key evidence against teacher tenure in the Vergara trial, and is featured prominently in the New York filings, too. It has found that the best teachers modestly increase their students’ lifetime earnings and help them enroll in college and avoid teen pregnancy. What gets less attention, though, is how modest that effect really is: The economists find that only 7 percent of the current achievement gap between poor and middle-class children is driven by sub-par teaching. (Family socioeconomic status, neighborhood, and school demographics play a much larger role.) As the researchers themselves acknowledge, to realize the promise of their suggestion that great teachers can battle inequality on a national scale, we would have to systematically move excellent teachers to the most struggling students. Currently, that isn’t happening, and tenure has little to do with it. High-poverty schools lose one-fifth of their teachers every year, a turnover rate 50 percent higher than the national average. The Talent Transfer Initiative, a recent experiment financed by the U.S. Department of Education, offered effective teachers in 10 cities a $20,000 bonus if they took an open job in a poorer school. Less than a quarter of eligible teachers chose to apply. I am not one of the cynics who believe that absent a Scandinavian-style welfare state, it is unfair to expect teachers to tackle inequality. Education can and should be a great equalizer. So here’s an idea: In our effort to help teachers close achievement gaps, let’s look beyond tenure panic, incentive pay, and even the Common Core. How about a new education reform push, one that focuses less on the individual teacher in her classroom and more on the principal who supervises teachers’ work? Yet like effective teachers, effective principals leave high-poverty schools at high rates. American principals and assistant principals oversee as many as 30 teachers each, compared to an eight to 10-employee “span of control,” on average, in the business world. Principals are often overwhelmed by the accountability paperwork created by Obama-era school reforms. One popular teacher evaluation framework requires principals to give each teacher ratings in 60 different categories. Across the country, principals are now expected to write up such evaluation reports multiple times per year for every adult they supervise. Keep in mind that while they do all this, principals continue to manage budgets, recruitment, hiring, and logistics, too. “Impossible” is the word I’ve heard most often used to describe the job of an American principal in 2014. 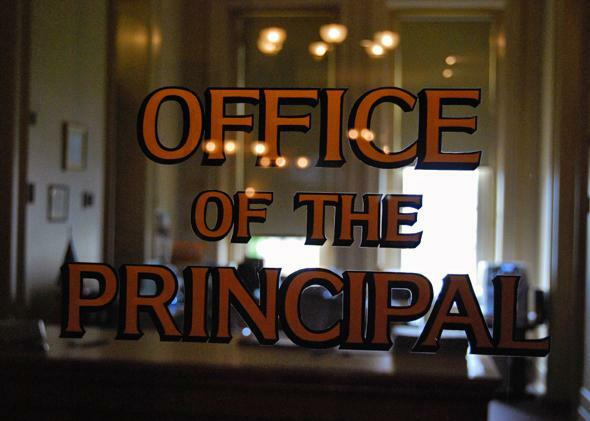 Last year, a poll of principals found 75 percent believed the job had become “too complex.” And with a job description more about compliance than creativity, it’s no surprise that too few principals are truly accomplished educators. Only 38 percent of teachers in high-poverty schools rate their current boss as excellent, and only 10 percent of teachers across the country express the desire to become a principal in the future. There is hope. The Wallace Foundation is offering six urban school districts $75 million to create stronger recruitment, training, and support services for principals. The New Teacher Project, an organization that advocates for teacher accountability, has called for teacher evaluation systems to get “put on a diet” so that principals can focus less on filling out spreadsheets and more on improving instruction. This school year, New York City principals will rate teachers in only eight categories, compared to 22 categories last year. But we need to think bigger. If the job of being a principal in a high-poverty school were less about feeding paperwork into accountability systems and more about teaching teachers how children learn, better educators would become principals, and would, in turn, help attract our best teachers to the kids who need them most. The United States must launch a principal-quality movement as robust as our teacher-quality movement has been. Only then will we begin to realize the potential of great instruction to fight inequality.